Housing in a family farm business is an area that is usually not at the top of the discussion list but is an area that quite often causes conflict for a number of reasons. Multiple families may live on the farm or on property owned by the farming operation. The more families there are the more complex the housing issue becomes. When families live in close proximity to one another generational and other lifestyle differences quickly become obvious. Understanding each other and allowing families to be different is a key element of living and working close together. Residences may be of different ages and in different states of repair. A clear understanding by all family members of what is a farm expenditure and what is a personal expenditure will help keep lengthy housing discussions to a minimum. When children move into the home farm house they will quite likely want to make it to their own taste. This may include renovations and redecoration. 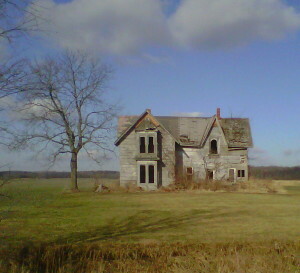 Communication between family members as to what can or cannot be done to the home farm house is crucial to avoid hurt feelings and rejection. Housing is reflective of each family’s tastes and lifestyle and issues relating to housing quite often are taken very personally. Each of these areas will be explored in future posts.